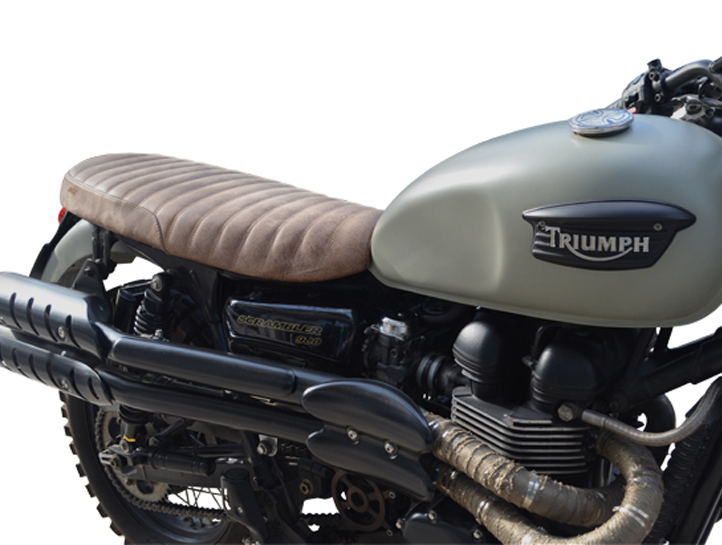 In this category you will find seats, that are suggested for modifications and restorations, mainly of classical motorcycles. These seats are handcrafted, using certain techniques and materials, in order to give the character desired. 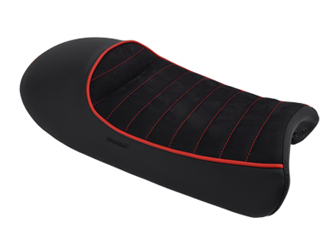 Commonly, these seats are characterized by elements taken from the motorcycle itself, combined with the riders preferences. 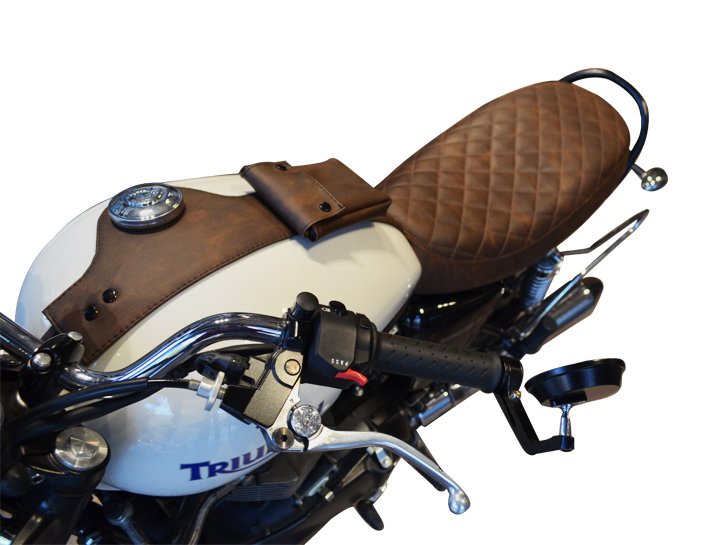 Café racer seats, are most usually aiming on riders use only, as the passenger position is elevated, in an oval shape, ending up narrower towards the edges and the motorcycle tail. They are typically upholstered with genuine leather and stitched designs, as well as materials with unique shades and vintage texture. 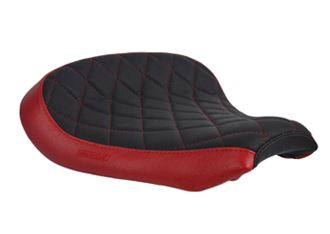 BRAT seats are thin seats, flat from the tank all the way to the back end, usually having pleated stitching or diamond stitching. The lack of fenders is a main characteristic of the BRAT seats. 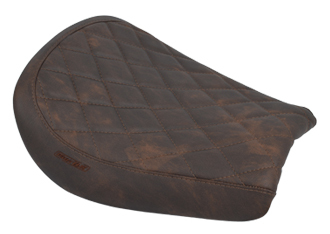 SCRAMBLER seats: since these are concerning restored motorcycles, for on and off road use, they are similar to BRAT seats, but are not necessarily so thin and flat. 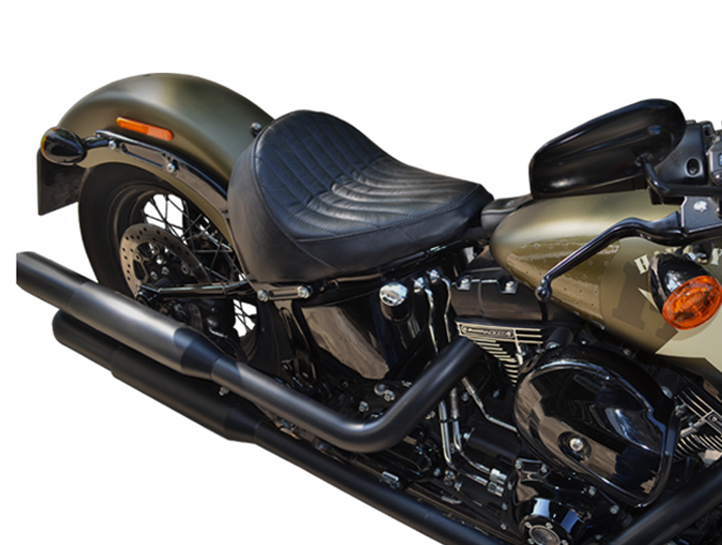 BOBBER seats, these seats are most often solo seats, and have less restrictions regarding their shape and final design. It is broadly known, that modifications into BOBBERs offer more freedom to the owner to personalize the seat, according to his/her taste. For all these unique and special seats, we choose the materials with extra care, in order to have the aesthetic result we wish for, keeping the quality standard high. Examples of the materials that are most popular are genuine leather, pleated/diamond stitching, piping etc.